Retroactive Continuity, or Retcon, for short is a term that is all together too common in the comic book world. It basically means that there’s an alteration to an established fact within continuity, and comic book writers use this strategy to add, remove, and of course, alter stories. With all the stories being written and new creative teams taking the reins for various properties, there always a chance things will get retconned. As a reader, it’s something that I don’t personally enjoy but I understand where publishers and writers are coming from. It sort of reminiscent of the music industry where nothing is original anymore. But with so many talented creatives entering the comic book industry, new stories are being thought up with fresh perspectives such as Scott Snyder’s addition to the Batman canon with his Court of Owls story arc or Francis Manapul’s work on The Flash. But retcon examples litter the stories we read. A prime example when a writer added something that wasn’t already established within continuity is what Brian Wood began on IDW’s Star Wars before Kieron Gillan picked up the mantle when it moved over to Marvel. Wood started to write stories that involved all our favorite Star Wars characters from the point after the Battle of Yavin, right after Episode 1: A New Hope. Personally, this is a great strategy to pull in the existing fan base since we are familiar with the characters and timeline. And filling in the blanks between the cinematic story gives us a much better and fuller picture. Another retcon example is the solution to killing off characters within stories. Some examples that come to mind include Captain America’s death in the Marvel event Civil War and Superman’s death at the hands of Doomsday. But those characters come back in one way or another. 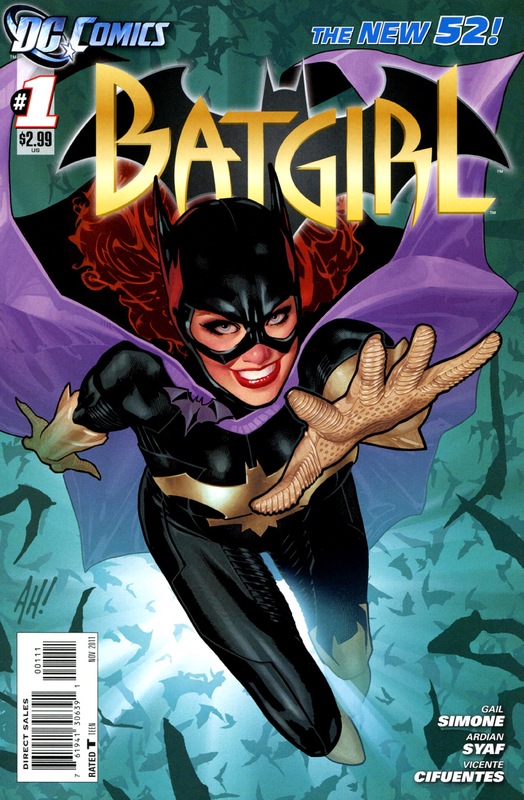 An interesting modern example of this type of retcon revolves around Barbara Gordon, formerly Batgirl, due to what Alan Moore wrote in Batman: The Killing Joke. Barbara Gordon was left paralyzed by the Joker which paved the way for her becoming Oracle. But with DC’s The New 52, Barbara Gordon’s paralysis was retconned to last only months, successfully bestowing the Batgirl cowl back to her. The last type of retcon includes removing something that happened in the story. In my years reading comics, I feel this happens a lot to Spider-man. It was a huge development that Spider-man reveals his secret identity on tv during Civil War. 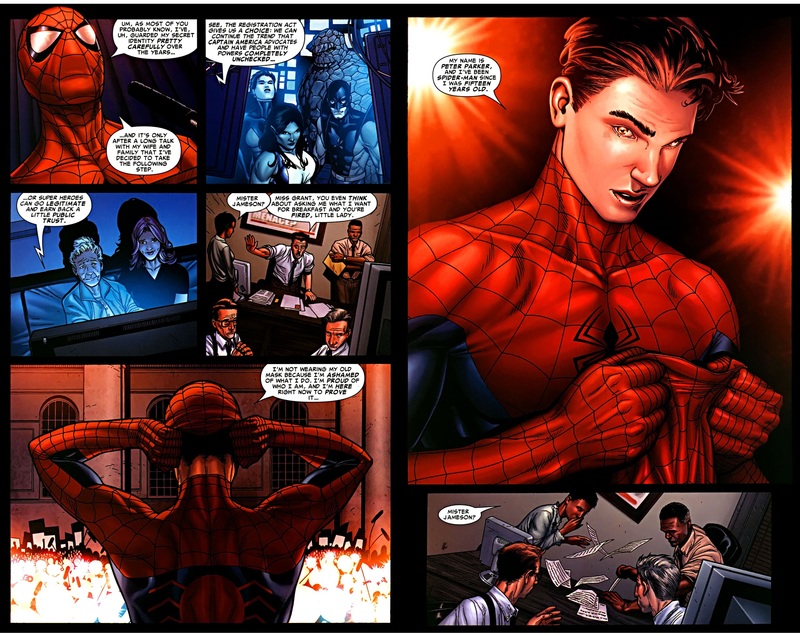 But in One More Day, in order to save Aunt May after she was shot during Civil War, Mary Jane makes a deal with Mephisto that would save Aunt May but Peter and her marriage would be erased, along with everyone’s recollection of Spider-man revealing his secret identity. In my opinion, this is a cop out. I was floored when Peter took his mask off in front of everyone during Civil War. That was huge! But to have it retconned makes the impact of what I read during that event so much more less. Though I’m not a fan, I understand that this is a way for writers to continue the story, especially with the mortal peril this puts on all of Peter Parker’s family and friends. He wouldn’t be able to do his web-slinging thing if he’s always trying to save his family and friends from all his enemies. This is also a reason why I didn’t pick up a Spider-man book until the end of The Amazing Spider-man because a new launching point was beginning with Superior Spider-man. Regardless of the usage of retconning, it’s another wrinkle in the continuity of our favorite characters. The vast history each character is definitely something I am proud of knowing, retcon and all. But I think new books like Star Wars, Princess Leia, and Darth Vader do a great job of employing retcon by inserting new stories in between the current continuity that we already know. Retcon isn’t going away, but as a reader, if writers refrain from pulling an April Fools-like joke when revealing something amazing or killing off a character, then we’ll still be on speaking terms.